Lawyers said it was against the criminal procedures law to hold hearings without stating the reason for a change in the presiding judge. 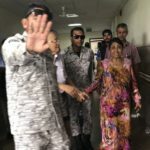 The Criminal Court will notify defence lawyers about the reason for a judge change in the terrorism trial of Mohamed Nadheem, the son-in-law of former president Maumoon Abdul Gayoom. Lawyers on Monday said it was against the criminal procedures law to hold hearings without stating the reason for a change in the presiding judge, local media reported. 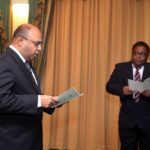 Judge Hussain Shaheed previously presided over the trial, which is now overseen by Judge Ahmed Hailam. He announced that the next hearing would be held after explaining the switch. Nadheem, Gayoom, Chief Justice Abdulla Saeed, Justice Ali Hameed, former police commissioner Ahmed Areef and four lawmakers, including Gayoom’s son Faris, are on trial for terrorism. Both Saeed and Hameed have denied the terror charge. 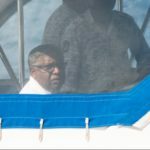 Gayoom is expected to respond on Tuesday, but the 80-year-old former dictator has not appeared in court for more than a week due to his ailing health. 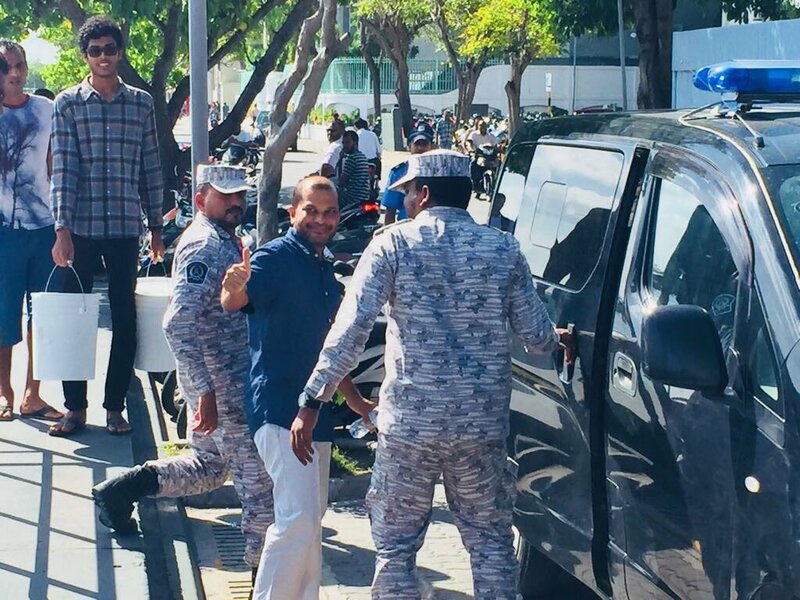 Separately on Monday, the court cancelled the terrorism trial of former police commissioner Ahmed Areef. MP Ilham Ahmed was due to appear in court to respond to a terrorism charge. 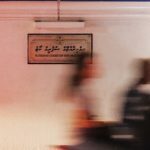 MP Abdulla Sinan’s hearing was cancelled. 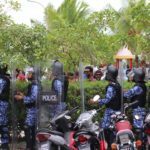 The nine men are accused of planning to overthrow the lawfully elected government through the February 1 Supreme Court ruling, which ordered the release of President Abdulla Yameen’s opponents and the reinstatement of a dozen opposition lawmakers. They will be jailed for up to 20 years if found guilty. 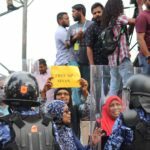 Police summoned Yumna Maumoon, Nadheem’s wife and Gayoom’s daughter, in connection with the alleged coup plot. She had asked for the meeting to be rescheduled but police refused. Such a coincidence that @PoliceMv only summon @yumna_maumoon when a family member is ill: first, around 27 March when her daughter was admitted in hospital & now when Pres. @maumoonagayoom needs constant care from family. Definitely not an attempt to intimidate her, of course. On 3 May, we wrote to Criminal Court, notifying them that Pres. @maumoonagayoom had suffered an incident necessitating urgent care. On 5 May, we verbally informed the Registrar that he'd just had a 2nd incident. 2 hearings scheduled for 3 p.m. tomorrow.